Made with a blend of polyester and cotton, this lightweight and breathable wide shoulder tank will keep you cool and dry while you train. No one will doubt who your team is, with its woven locker tag celebrating the Vodafone Warriors 25th NRL season. 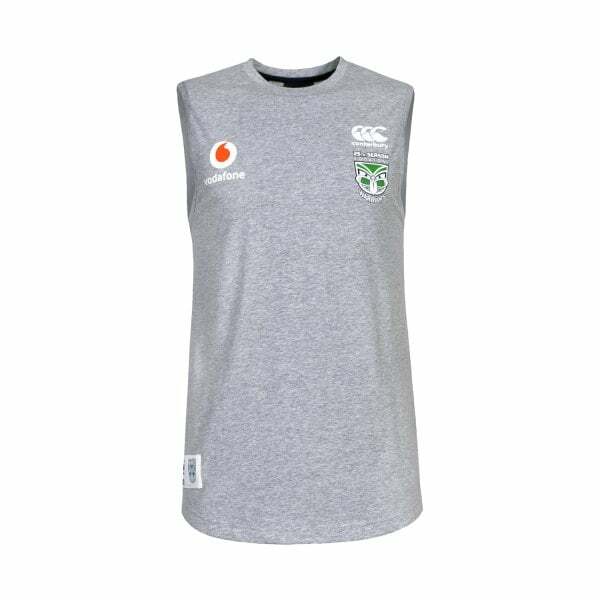 Made with polyester and cotton single jersey, Canterbury’s 25th Season Singlet will keep you cool and dry while you train. Combining breathability and free range of movement, this wide shoulder tank will keep you going strong through even the toughest of workouts. It will also make it clear where your allegiances lie, with a woven locker tag declaring your support for the Vodafone Warriors, who are currently celebrating their 25th NRL season. Canterbury’s 2019 Vodafone Warriors Supporters range offers a new perspective on some classic 1995 styles and this quality garment commemorates the team’s heritage in a winning contemporary design.